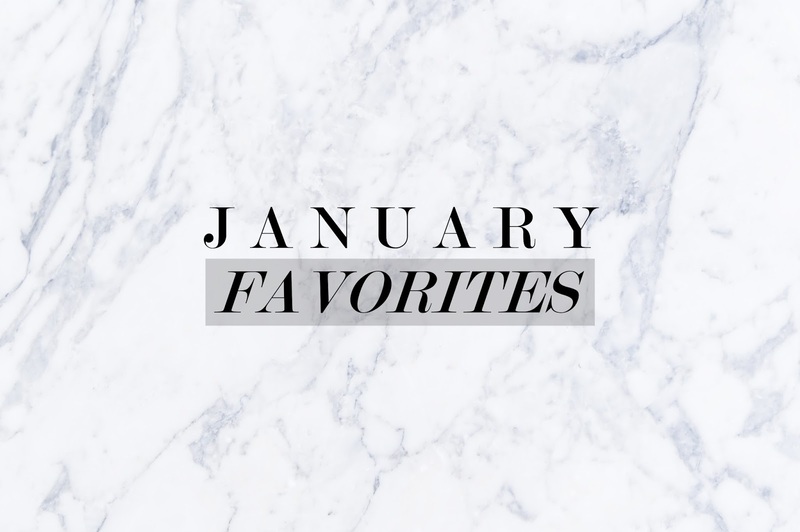 Welcome to my first blogpost of my monthly favorites ever for this year. I'm going to talk about things that I love last January but it doesn't include any beauty stuff as I don't fancy any yet. Below are things that I enjoy and are basically my interests. So, let's get started, shall we? I've got lots of reasons why I'm currently loving this TV show, basically the main reason is it's a new theme of series that I watch. I usually watch actions like Arrow, The Flash, and so. This is fantasy! I'm having a massive love for fantasy films and tv shows at the moment. I highly recommend this show. And if you're still isn't convinced, fortunately Buzzfeed wrote an article why you should enter the world of Shannara Chronicles. (Link) Go ahead and check it out after you read this whole blog post, and be convinced. Believe it or not, I grow up watching Star Wars because my father is a huge fan and he always watch the series when I was younger, so I know the story and I love it. So knowing that they were going to release a new episode, I was so happy and felt nostalgic. The first premiere weeks, I wasn't able to watch it in cinema. But thanks to KCC de Zamboanga, they decided to replay it last January 8. So I didn't let go the opportunity of watching it in cinema. My sister and I watched it together on 3D, and I never got bored even just a minute. And the ending! I cant even. I don't think I'm too late for this, but yes I had the chance to watch this film last month. Then I thought why I didn't watch it any sooner because I end up loving it so much. I got to know Peter Pan's childhood, how he learned how to fly, the piracy, the reason why he doesn't want to grow up, and his friendship with Captain James Hook. I mean, they were friends?! What happened next? Now I want a Part 2. Okay, here's a non-novel book for you. But let me assure you that it's really helpful and straight to the point book. I promise. For those of you who haven't heard of this book, well basically, it's a book full of knowledge about how crappy the food you're eating, from coffee to donuts. I haven't finish this book, I'm like in the third chapter. Because I literally have no spare time to read the whole book aside from reading just two sentence them boom, I've got other things to do. But I'm hoping I'll finish reading the book as soon as possible, so I can convince myself to swap my lifestyle into a Vegan or Vegetarian lifestyle (we'll never know). I've been loving electro musics since October 2015. So Chainsmokers is definitely on the list of best electro musics producer. I didn't regret that the first song that I actually heard from them was Roses. It's a bliss. I love it so much, I had to play all their musics. I also love New York City, Kanye, and Waterbed. Plus, they release a new song yesterday, Don't Let Me Down. I freaking love it! If you're from the Philippines, you definitely need to watch this YouTuber. He's a Fil-Am vlogger in Manila, who enjoys the city so much (more than Filipinos do). He's very friendly and committed to his channel but the best thing about him is he literally speaks Tagalog, he speak those deeps words that we Filipinos doesn't use anymore. And, he speaks beki very well, better reason to check him out. His feed basically speaks it all. What's new about me since I become a college student is I'm inlove with tea now. Green tea has lots of good benefits. I'm drinking green tea over a year now. Green tea helps me when I need to stay awake at night and morning. It's just basically helpful for everybody. I don't actually fancy a specific food this month as I don't buy food from town because they're unhealthy and just completely junks. But crinkles, is the pastry that I can't resist. When I see one, it's so hard to resist, so I had to buy even just two piece. Haha, that's why I'm kind of trying to avoid bakeries this month. Because crinkles gives you wrinkles. See what I did there? But seriously, it's unhealthy, and I'm trying to avoid unhealthy food this year. Comment some of your faves from January. The Shannara Chronicles sounds really good, I'll give it a try! I wanted to watch the movie Pan but I haven't got round to it! Those instagram photos look so awesome! Still haven't seen star wars - I need to watch it haha!! I haven't seen Pan yet but I really want to now. When it came out here no one really talked about it so I forgot to see it, but now this post has reminded me! I'm on my road to a huge tea obsession ever since starting college, too, haha. It's so cool that you grew up watching Star Wars! My parents weren't huge sci-fi fans but they were particularly huge fantasy and adventure fans, so it was Lord of The Rings and Indiana Jones for me! I love this post idea! And that Instagram really is lovely, wow wow wow. I've been hearing many good things about Shannara Chronicles, I'll check it out! Great list of favourites. That youtube channel sounds like it would be fun to watch, and those crinkles look delicious! Lovely picks, hun! I too am a huge fan of green tea. :) I find that it gives me much more of a kick than a caffeine heavy drink like coffee or black tea. <3 Thanks for sharing!